I am suggesting Blogger, a free blogging platform owned by Google.Let us learn about blogger.Have you decided upon a domain name or killer brand name for your blog? You can find it at www.blogger.com . Your blog is stored at the Storage Servers of Google free of cost. Your blog is given a web address of http://yourblog.blogspot.com free of cost. If you can buy a domain name from a domain registrar, you can use your own domain and your blog will be http://www.yourblogname.com/ . 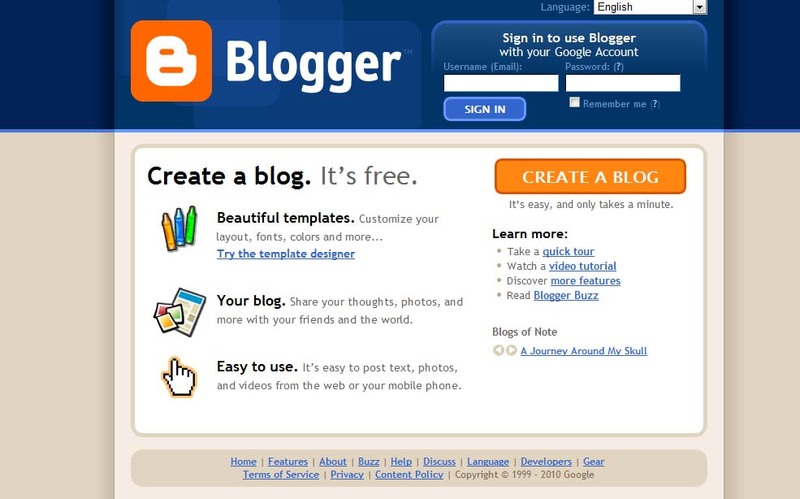 Blogger is a key to the google adsense account you will be making shortly after creating and running your blog. You can write unlimited number of blog posts and make unlimited number of blogs. 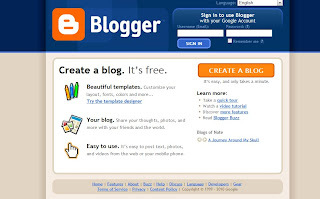 Your google username and password is used to signin in the Blogger. Not much technical knowledge is needed to create your new blog post. Blogger Blog network itself brings you referral visits. You don't have to worry much on Search Engine Optimization.Google will do it to some extent in blogger. It might be blocked in China, Fiji, Iran, Pakisthan, Syrian Arabic Republic, Myanmar and Kazakhistan. An individual page should be less than 1mb of size. Maximum 5000 unique labels and 20 unique labels per post.You may label your posts like "Life, Work, Movies, Music etc". A maximum of 100 team members can colloborate on a blog. Photos uploaded will be limited by the related Picassa web album (1 GB). Here are some pages you can read for now. Read what Ilane DeBare's take on blogging as a way to make money. Create your first blog on blogger by signing up to blogger.Here is a get started guide that could help you in your endeavour. How to Add your custom domain name bought from Dynadot domains to Blogger? How to Submit the sitemap of your blogger blog to Google Webmaster Tools?